Oliver Burke scored his first Celtic goals as the rampant Hoops thrashed struggling St Mirren 4-0 at Parkhead on Wednesday. 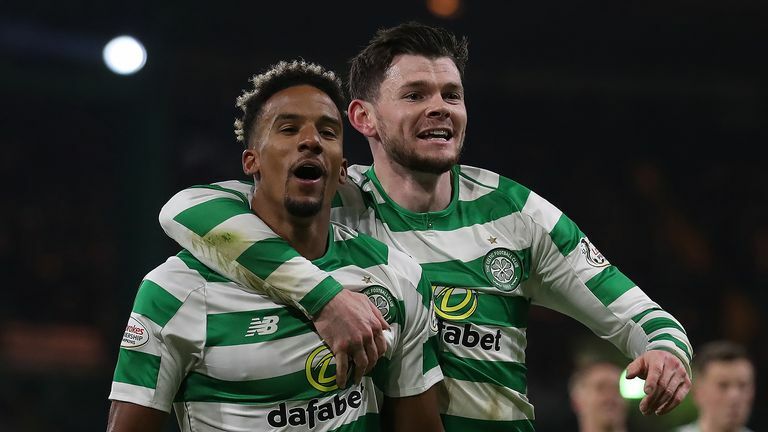 The 21-year-old, on loan from West Brom, took 11 minutes of his first Scottish Premiership start to head in a Ryan Christie free-kick and when winger Scott Sinclair scored the second with a penalty soon afterwards the points were all but assured. 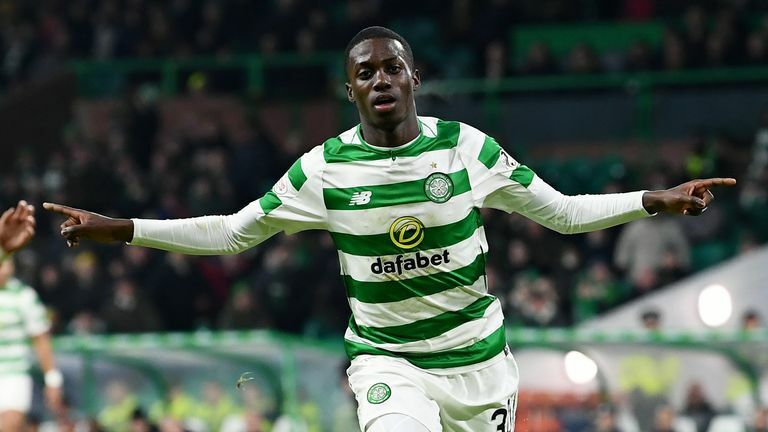 Burke grabbed his second 10 minutes into the second half and substitute Timothy Weah, on loan from Paris Saint-Germain, added a late fourth with his first league goal. Kilmarnock's 2-1 win over Rangers at Rugby Park moved them above the Light Blues to one point behind Brendan Rodgers' side, while St Mirren drop to the bottom of the table. On a freezing, wet evening in the east end of Glasgow, the contrast between struggling Saints and the reigning champions, who had Mikael Lustig and Kristoffer Ajer in for injured defensive duo Anthony Ralston and Dedryck Boyata, was stark. There was no surprise that the visitors were in defensive mode but it took Celtic just 11 minutes to get the breakthrough. Burke got his head to Christie's free-kick six yards from goal and although Saints keeper Vaclav Hladky got his hand to the ball he could not prevent it reaching the back of the net. 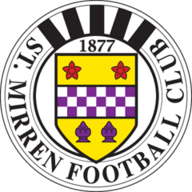 And when St Mirren skipper Stephen McGinn pulled Sinclair down inside the Buddies box seven minutes later the Hoops winger drove the penalty into the corner of the net, taking his tally to seven in six games. Jim Kellerman came on to replace injured defender Lee Hodson but Saints continued to suffer. Midfielder Callum McGregor missed a great chance by flashing a shot over the bar and Hladky saved a Lustig header just before the break as Celtic dominated possession with no prospect of a St Mirren comeback. 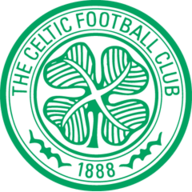 There was no let-up by Celtic after the break and the third goal came in the 55th minute after Hladky had made a fine double save, first from James Forrest, who had been sent clear by Christie, and then McGregor, only to see the handily-placed Burke fire the loose ball in from 14 yards. Weah, the 18-year-old USA international, replaced Burke in the 64th minute and almost immediately struck the post - although the offside flag was up - before slipping the ball just wide after a clever pass from Forrest. Ewan Henderson, 18, and younger brother of former Celt Liam Henderson replaced Christie in the 71st minute and with three minutes remaining he played in Weah who steered the ball past the helpless Hladky as the home side put down an impressive marker in their first league game of 2019.